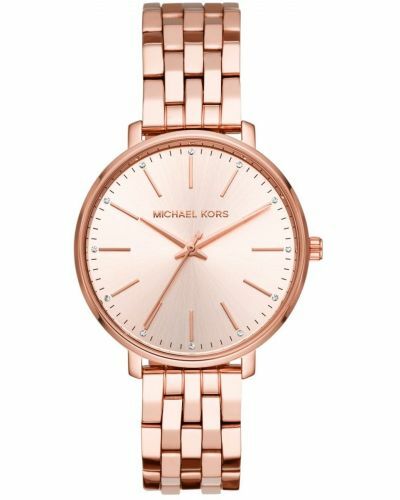 This beautiful women's watch is brought to you by Michael Kors as part of their Pyper collection and features a petite 28mm red ion and rose gold plated case with crystal embellished bezel. Beneath protective mineral glass lies the cherry red sunray dial complete with rose gold Roman numerals and three hand movement. 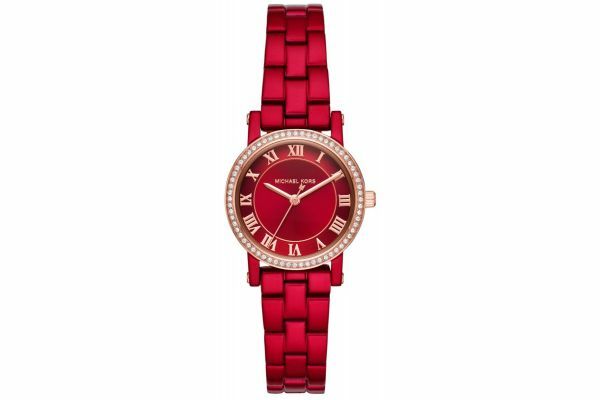 The Pyper watch is set upon a cherry red ION plated stainless steel three link bracelet and fastens with a secure fold over closure with push button release. 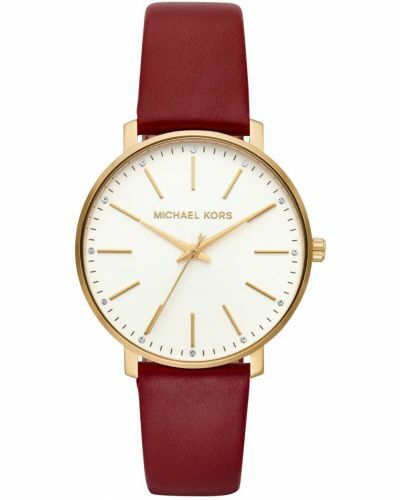 Powered by Quartz movement and splash resistant, the Pyper watch comes complete with a two year guarantee and official Michael Kors packaging. 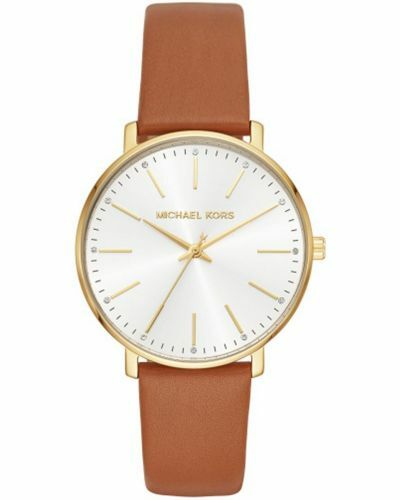 For us to size your new Michael Kors Pyper watch as accurately as possible, please take a look at our downloadable Watch Sizing Guide.